I'm new here and thought I would post up. I got this truck a few months ago. 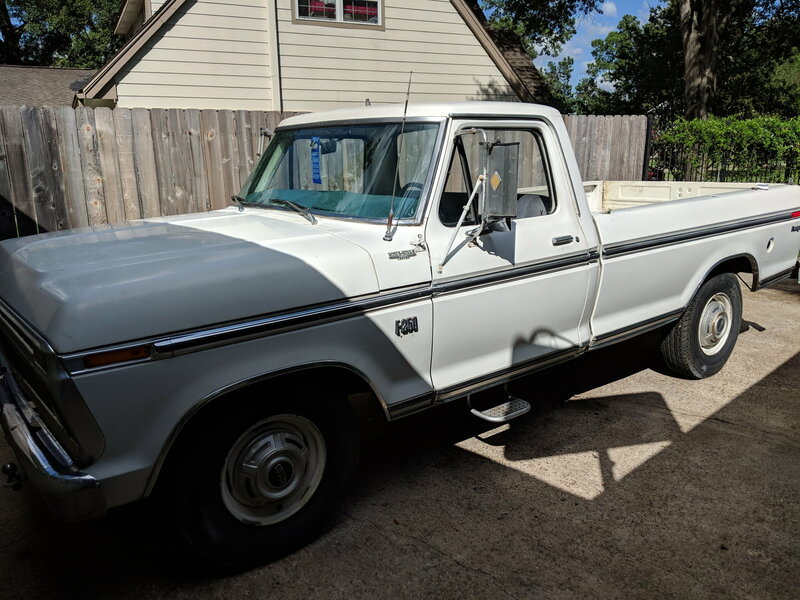 It's a '73 F250 with 360 and 4 speed. Cleaned, painted and reinstalled the fuel tank, new fuel pump. Rebuilt the Carter afb it had on it. Removed the mirrors for some new ones. Removed and rehabbed the rear end and converted to rear disks. Last thing was I put some headers on it. Thanks for looking. Sure I will have lots of questions down the line. Nice truck bud! Welcome to FTE. Nice looking truck! Love dents in white. Oh yes! Nice looking truck! Welcome to THE best Ford forum.